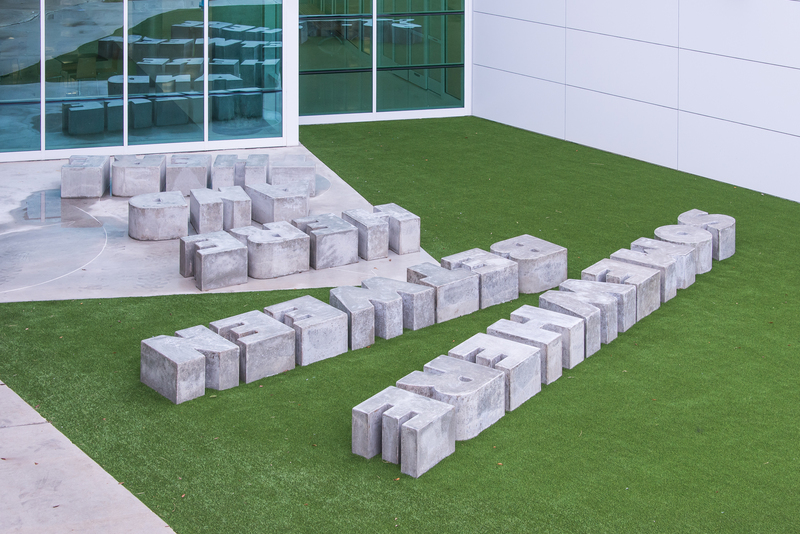 The piece is comprised of three dimensional letters which spell out the phrase, somewhere between here and there, resting partially on a lawn and partially on a concrete slab with embedded curving LED arrows. 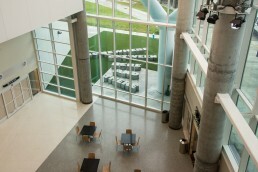 The piece functions as a place for people to sit and wait until they continue to their final destinations. Located just outside the airport between the terminal and the elevated drive, partially covered by a large overhang and partially exposed to the sky, Airport Seating makes physical the language that describes both the nature of the space the piece inhabits and airports themselves.